The population of Iraq is estimated at 32.5 million of which 36.7% are aged 14 and under. The median age is 21.5 years (as a comparison the median age in the US is 37.6- CIA 2014). 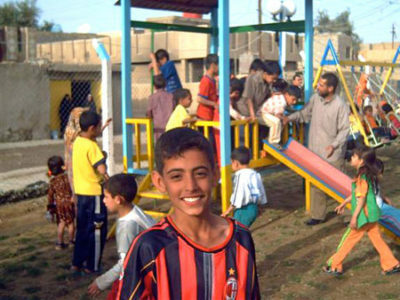 Due to security issues, we do not disclose the locations of the playgrounds we have built in Iraq. 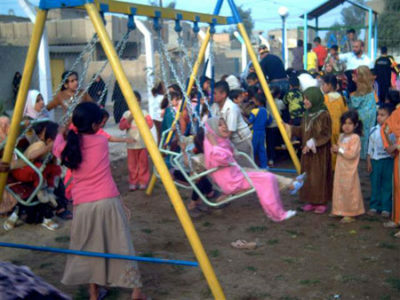 Our efforts to date have centered on building playgrounds within the capital city of Baghdad, its suburbs and nearby cities. For security reasons, our playground building in Iraq is on hold. 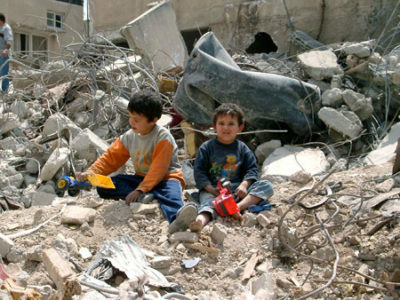 However, there's a pressing need for playgrounds in other conflict regions.